I would invite you to compete against these some of the best players and see how you fair. While I enjoy a good Quake and UT match (Quake 1v1's are ALWAYS exciting to watch) players like Rapha and Stermy put in just as much work as some of the best in Call Of Duty. I actually love MNC and SMNC but it's hard to find games on it now. I agree though it is a great game! I can't believe I missed that one too! It's going to be an insane weekend! I am the same way. I am an FPS guy 100% but as soon as I started playing this one I was hooked! Thanks for the link! You're awesome. In their defense, they just announced the Champions Pack (Bullseye Map Pack) and released a massive update that brought the BR back to a 4 shot kill and optimized a lot of the weapons. Legendary Slayer is awesome to play! Dabbled in a few games myself the other night. YES! I am so glad more people are getting that and not just assuming it's because of Oscar De La Hoya! I saw no coverage of it. Please link it to me. 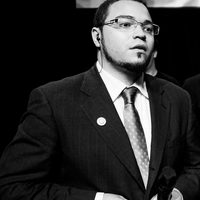 If you know of other awesome events just send me a tweet @GoldenboyFTW and I will look into it. Thanks and there will be plenty more moving forward! It was a win-win you know? For a game like Melee that came out years ago it was insane to see the numbers it reached this weekend. This just reeks of awful. I agree with you on that! I'm looking forward to seeing how next-gen consoles will shape the future of eSports on both platforms.